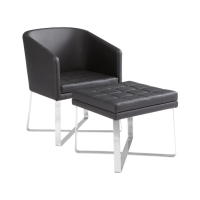 The perfect chair for a lobby or sitting area. 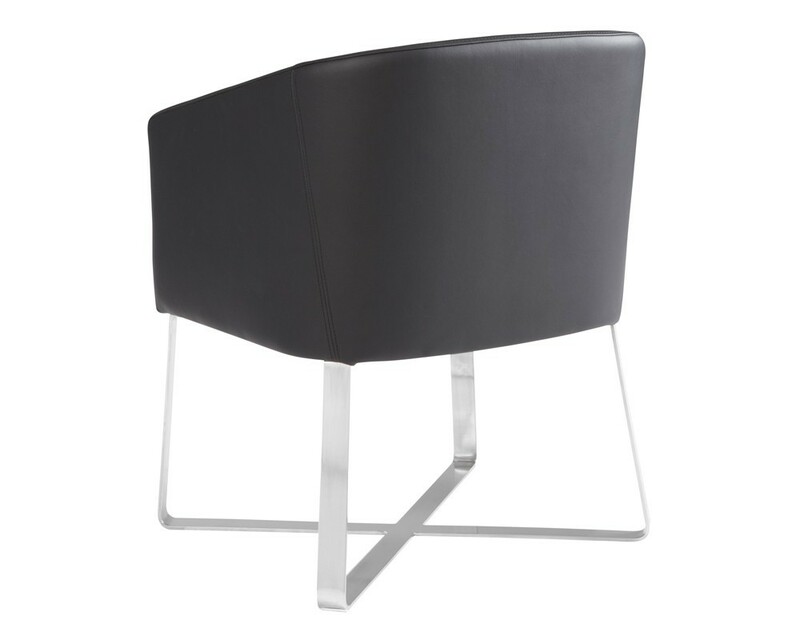 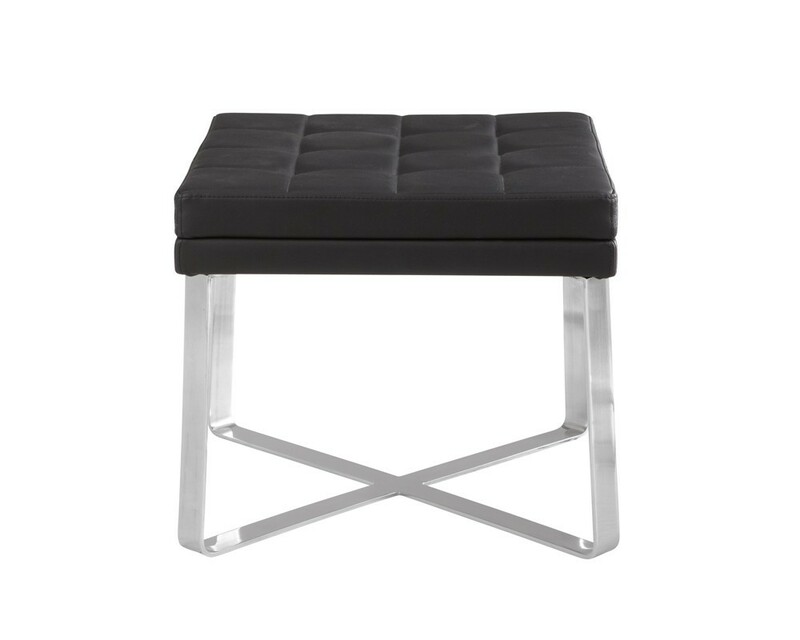 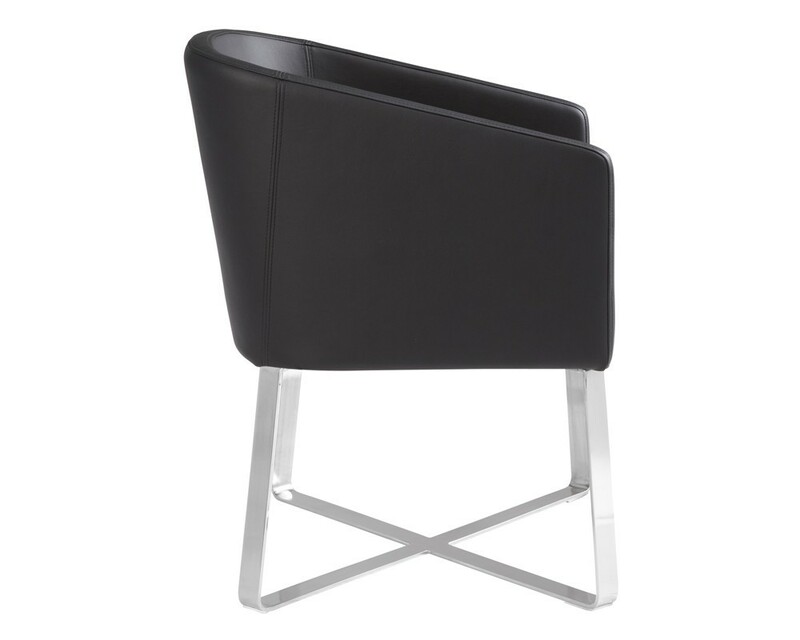 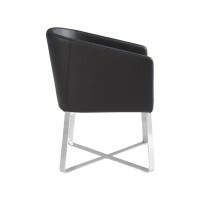 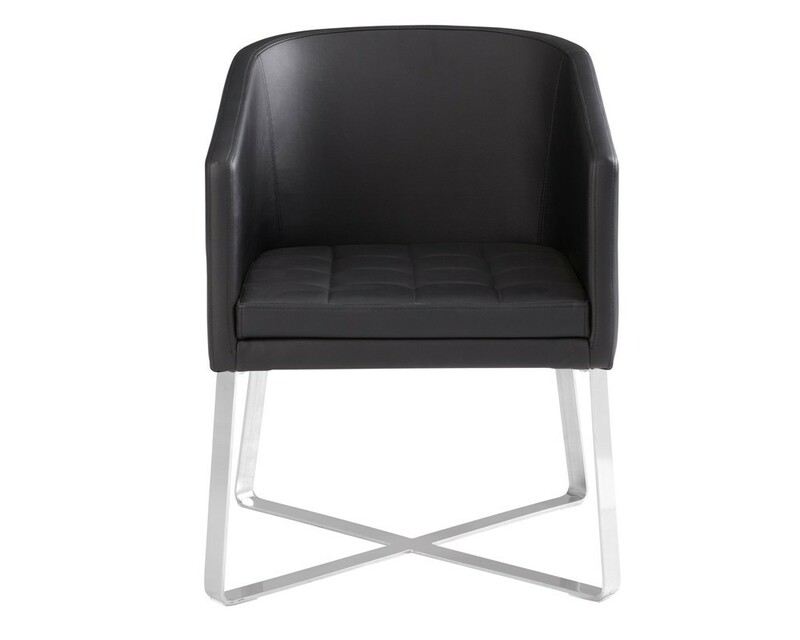 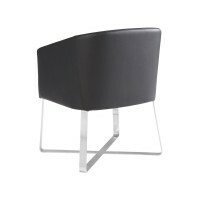 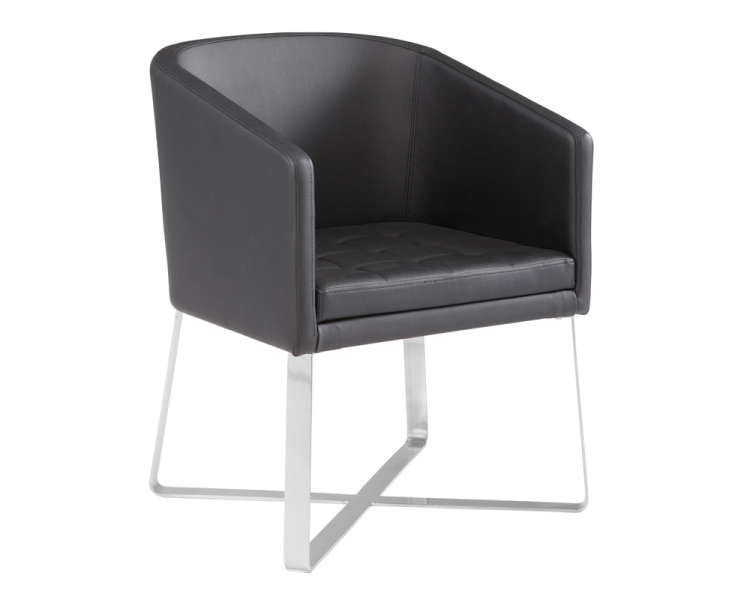 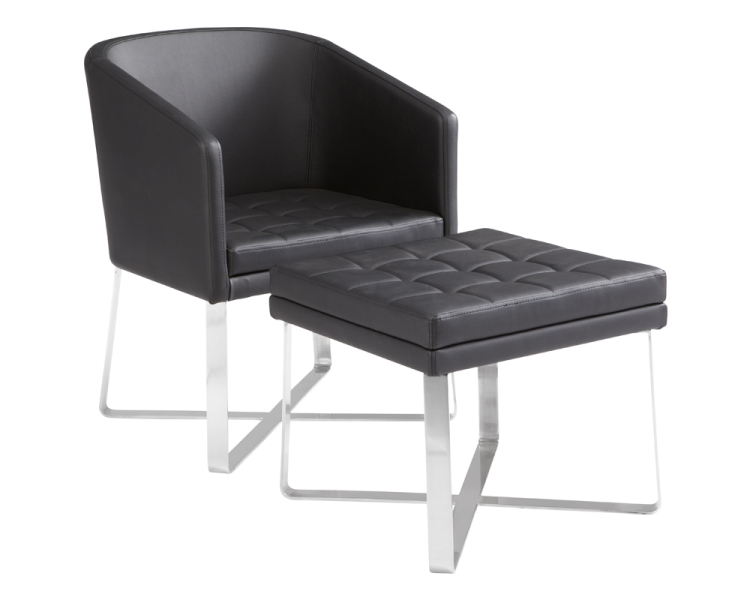 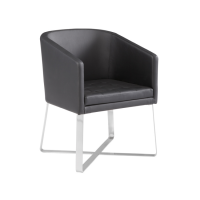 Features a stainless steel x-base with a tufted seat. 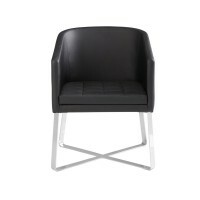 Stocked in grey and black faux leather with fire rated CA Foam. 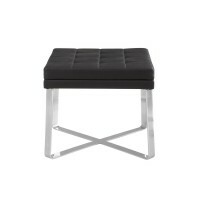 Matching ottoman sold separately.